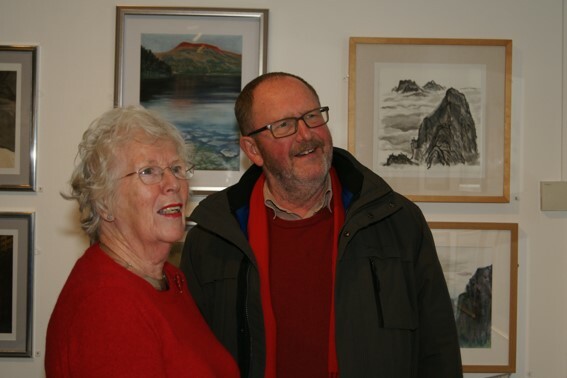 Our current exhibition at Low Fell Library commenced on 8th April 2019 and runs until the end of May. It is a selling exhibition. 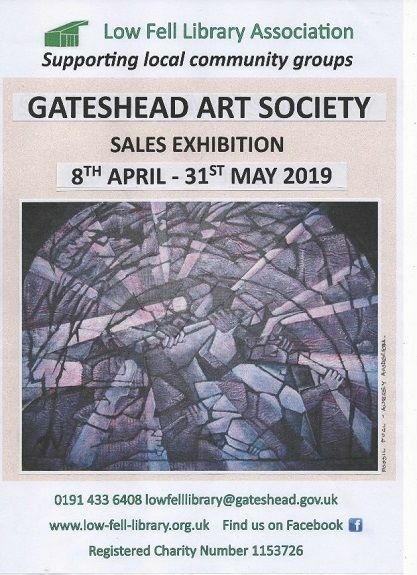 We had two exhibitions in October through to December featuring up to 140 paintings between them -all works by artists of the North-East.The Annual Exhibition at The Shipley Art Gallery ended on 22nd December 2018. The other 2018 exhibition was our delayed Summer Exhibition which was held in October! That was at St Mary's Heritage Centre Gateshead near The Sage. 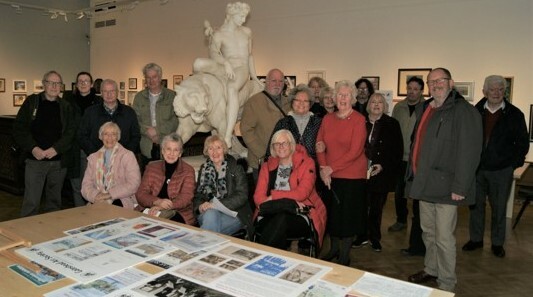 Some of the exhibiting artists photographed with artist Sue Deighton (standing -red top) at The Shipley Art Gallery, Gateshead with a display showing aspects of both the history of The Gateshead Art Society and The Shipley Art Gallery.